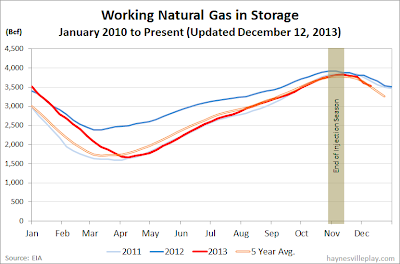 The EIA working gas in storage report showed an 81 Bcf withdrawal, bringing the current working gas in storage to 3.533 Tcf. The weekly withdrawal was ten times greater than last year's (-8 Bcf) and 7% greater than the five year average (-76 Bcf). 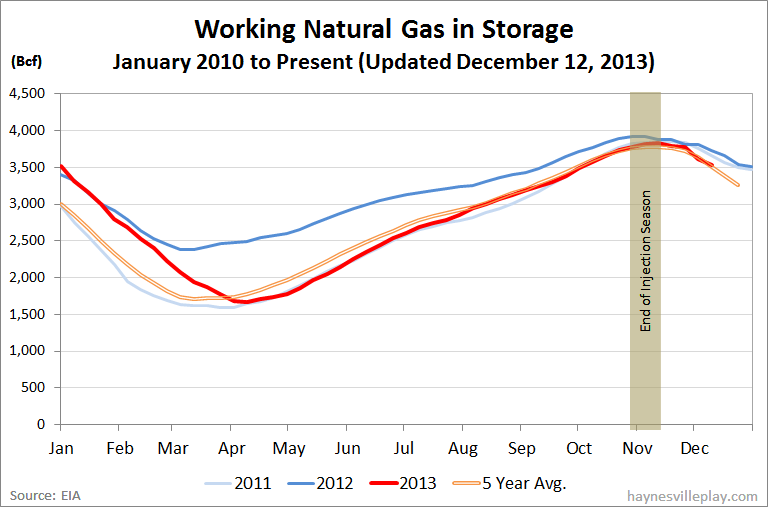 The current storage level is 7.2% below last year (3.806 Tcf) and 3.0% below the five year average (3.642 Tcf). Temperatures last week averaged 41.9 degrees, which was 6.3 degrees cooler than last year but 1.6 degrees warmer than average.